I was thinking about sweet treats I always used to love and which I could recreate to be healthy, gluten free & vegan when I thought of macaroons. 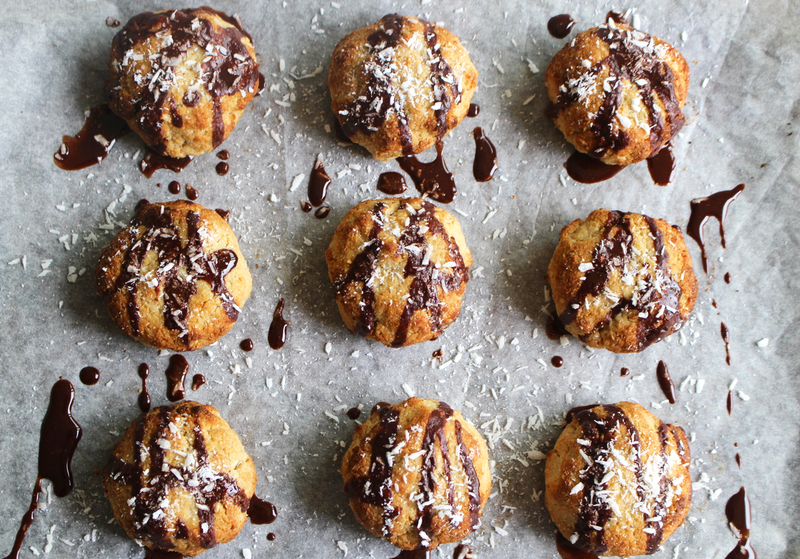 I used to LOVE macaroons - the sweet coconut flavour and the rich chocolate drizzle....mmmm, and I instantly thought they'd actually be quite easy to adapt into a healthy sweet treat that anyone can enjoy. 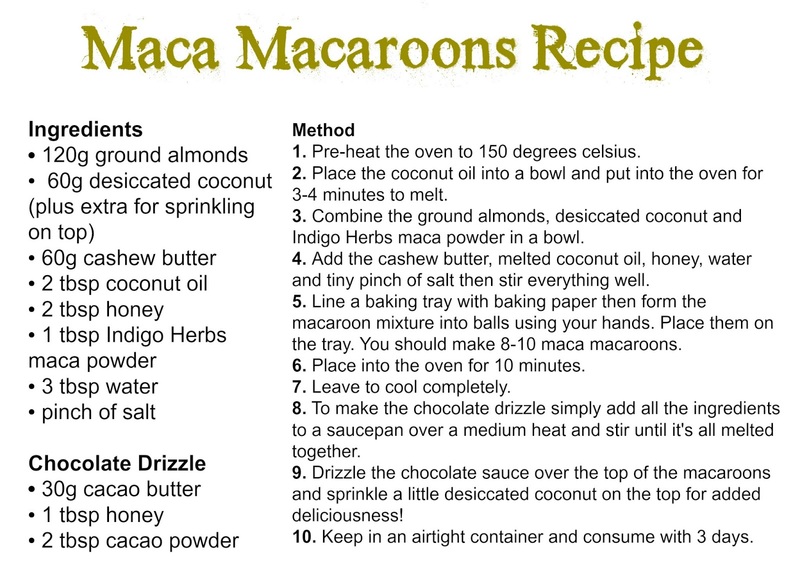 I then had an even better idea, why not make maca macaroons? Yeah, I know, I'm a genius! Maca is one of my favourite superfoods and it tastes almost like caramel so is the perfect addition to these little balls of goodness. I used Maca Powder from Indigo Herbs who are a wonderful superfoods company based in Glastonbury, England. They're all about natural health, affordable pricing and are passionate about supporting wellbeing with solutions the earth provides us, just like myself. I love their ethos, their passion and their amazing quality products. Their maca powder is perfect in this recipe as it's so smooth so mixes into the other ingredients well and it's got such a yummy flavour to it! I made these macaroons on a Friday and they were gone by Saturday, I think that tells you just how delicious they are! They're the perfect mixture of being delightfully sweet with that familiar coconut taste, rich chocolate drizzle and soft inside. They're also very easy to make and can be completely ready to eat within half an hour, from start to finish, amazing right? 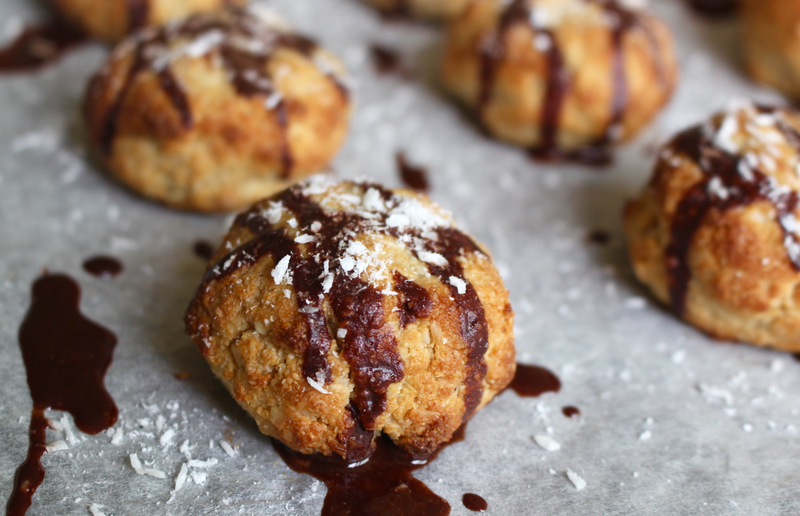 The macaroons are made from ground almonds, cashew butter, desiccated coconut, honey (you could use maple syrup instead), coconut oil and of course the all important maca powder! Maca powder is something I eat everyday, normally in porridge or smoothies but now in macaroons too. It's high in important vitamins and minerals including calcium, potassium, iron and zinc which all support normal blood pressure, promote strong bones, keep your red blood cells happy and keep your immune system strong. 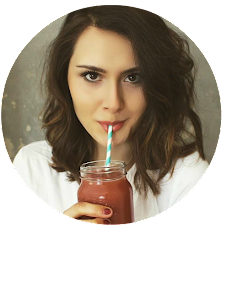 Maca is also brilliant at supporting the delicate hormone balance in your body, great for women suffering with PMS or fellow PCOS sufferers. 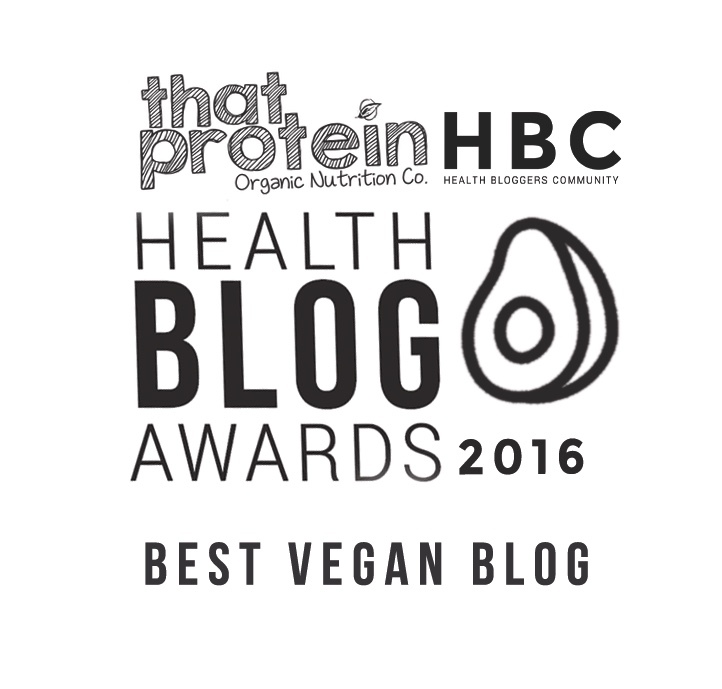 Not only is it amazing for your body but maca tastes delicious too (it's no spirulina, don't worry! ), it's got a slightly malty flavour that reminds me of caramel! I get my Maca from Indigo Herbs as I know it'll only be the most premium quality and certified organic - plus the price is fab! Buy yours here. Now I've told you all about these delicious macaroons I bet you can't wait to make them yourself! Well, get baking!